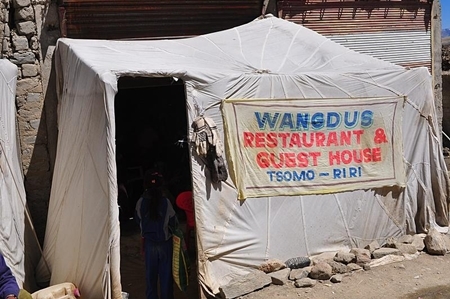 Quirky tent restaurant local resident Phil of Rider’s Corner found on a recent drive around India. 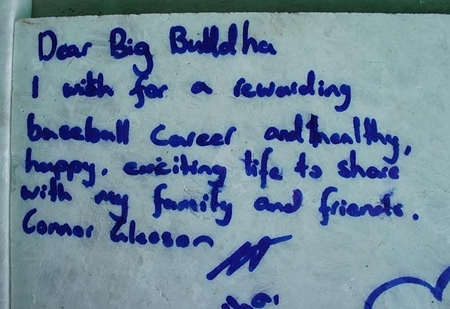 Ron traveled to the Big Buddha and found this tile that had been purchased and placed on the building site. Seems like a fair request!